Sally Barnett is a member of the Family Team. 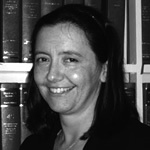 Sally has practised at the Bar full time for over 20 years almost exclusively in the field of family law. Her practise is wide ranging over the following areas; contested divorce and nullity proceedings, ancillary relief (covering all aspects from substantial assets to nil /debt situations, non disclosure, tracing issues, pensions and the use of actuarial evidence where appropriate, third party intervenors, assets abroad and cases linked with other litigation, for example ongoing private law disputes in respect of children (residence and contact disputes including applications by grandparents), child care proceedings (primarily for parents and other family members) trust claims, Civil Partnership and Inheritance claims. Sally understands the needs of clients in what are usually very stressful and emotional situations. She is very experienced in negotiating fair and exceptional settlements on behalf of her clients as well as conducting contested hearings. Her work covers the Midlands area. Conferences can take place in chambers or other venues to suit the needs of the client.